Now for what we were waiting for, The PRIZES! 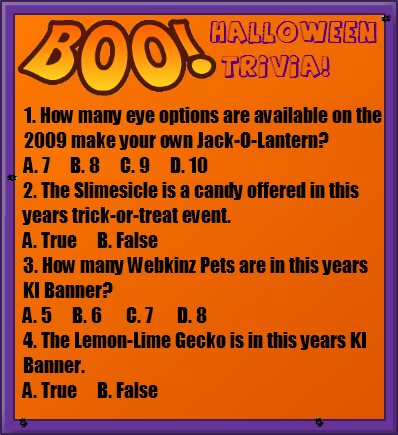 One lucky entrant who correctly answers the questions will receive A 2007 Creepy Bed and a 2007 Phantom Trophy Pedestal! Contest open to all register KI members, except KI Founders. Contest runs until 11:59 American Kinztime on Sat Oct. 30th. Winners will be announced sometime on Sun Oct 21st. Cool! This is a great contest!